Recently a friend of mine was struggling to open a .ppsx file in MS PowerPoint. He wanted to edit some slides of the presentation but the sender of the file had sent a .ppsx instead of a .pptx. 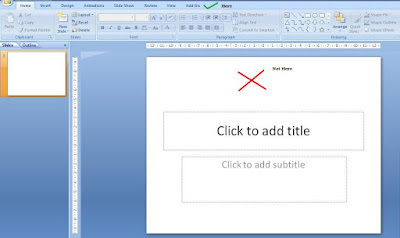 If you have never opened a .ppsx (PowerPoint Show) file in MS PowerPoint 2007 then you might like to read on. Any faster way than this, drop in a comment. Hm.. Good way. Thanks for this. .ppsx files can be opened with the Presentation app, choosing Microsoft Powerpoint 2007 XML filter.. thats simple. I always save the PPT as standard presentation.. very cool! OpenOffice has more than a hundred filters (the equivalent would be OPEN AS in Win), so you are completely OK using OpenOffice. I used version 3.0 on April 18th 2010. This version includes Calc, Write, Presentation, Base, and Draw applications. The computer was an old Averatec 3500 with Windows Tablet… it run perfectly the file and OpenOffice. Later I will do a try on my 2010 Mac Pro…. just to let you know! What I will advise everyone, is to SAVE AS an older version ,PPT or as a PDF which are more easy to open. Thanks for the input German. THANK you!!!!!!!!!! Otherwise I will not be able to have materials for the open-book exam printed(((. You are welcome. Best wishes for the exams. Thanks Jash. Your method works most of the times. In this case, as I have shared in the post, for some reason it was not working. Hence the alternative was discovered. Thank you so much! I have been trying to edit a file that I recieved as ppsx and you were the person that really solved it for me! Thanks ! wow!!! This is amazingly easy!!! Thank you!!! !